okay so atm it's not useable ?? Put it in like you would a full floor block, as it is meant to sit flush with the floor. Pretty "sneaky", eh? Yes this is intended, although it definitely makes things a bit awkward to use. I am planning to make it more user friendly in future updates. Love how focus sash is referencing the item from the Pokemon games, where it'd leave a Pokemon with 1 hp whenever it took a hit that would faint it. Wish there were weapons that dealt more damage the lower the player's health. Then I could use a Minecraft version of the Reversal/Flail + Focus Sash combo. Seemly in the newest V (1.12.2-1.7.181) the wither trap is not working. I watch a wolf step on it and get stuck spinning the cirles for a full minute and it didn't take any damage. Also, they (traps) seem to cause the AI to get stuck and spin frequently. Can mobs spawn on vector plates? Yes, they should be able to. I got rid of this mod a while ago since the null charm couldn't be used as a bauble and the one from Actually Additions is better, the sneaky switches never worked, the ender tether crashed my game and there was only one of the enchantment rings (the fire aspect ring) which was then found in almost EVERY loot chest ever found. Do the sneaky switches work? Are all the enchantment rings available and does the ender tether no longer crash your game? Did focus sash cause you any problems? When i try to use sneaky blocks and right click another block on it it dosent work and just stays the same :( Im on 1.11.2 and i have downloaded the official release. I want this. I'm downloading it immediately; the focus sash sold me. Is there a way to change whether or not it breaks on use? I'm hoping it's not like the one-use totems. If it is, well, cheap totem of undying, so no complaints! I was thinking about adding the Avaritia mod into the same pack with Dark Utilities and I was curious if you know whether the Focus Sash could allow someone to survive one hit with the Sword of the Cosmos which is labeled as having Infinite damage? I love the ender hopper for the way it handles picking up items, really helps reduce lag... except that it creates a particle effect every time it does. With overly fast systems, the particles themselves can cause extensive lag on a system. 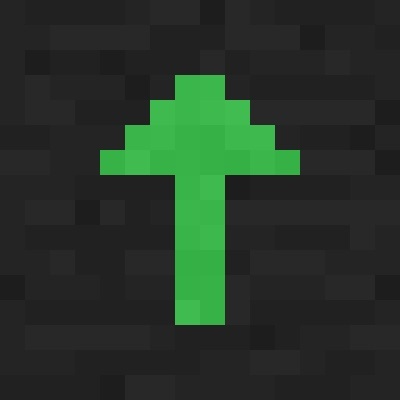 Any chance we could get a config option to remove the ender particles when the ender hopper picks up an item? is the feeder gone? i havent seen it in the latest releases .3. Any chance you'll make the charms compatible w/ Baubles? The charms are meant to be compatible with baubles, however every time the game updates, baubles takes a month or two to update. Since I usually update within the same week as a major MC version I disable baubles support and re-enable it later on. I just haven't gotten the chance to enable support again. Using the Ender Tether and spawning in an Enderman crashes my game to the point where I have to remove the mod to start the game up and then reinstall.